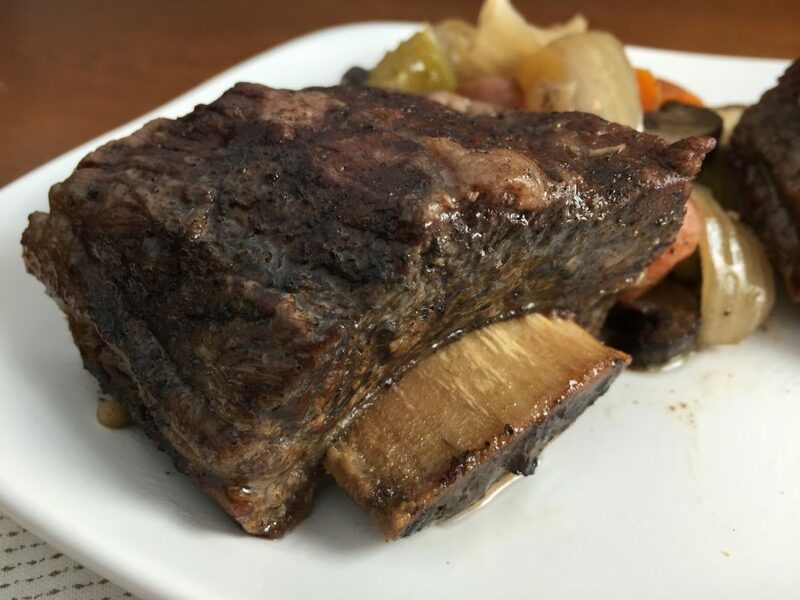 The food: My favorite cut of meat, hands down, is beef short ribs, which are larger and meatier than their pork counterparts. They aren’t exactly healthy, but these chunks of beef are definitely worth splurging on from time to time. Over the years, I’ve ordered short rib sliders, nachos, tacos, and more from restaurants. I decided it was time I learn to make the meat, starting with the basics. Making these beer-braised short ribs in a slow cooker means you’ll come home to fall-off-the-bone meat after a hard day’s work. For a full meal, cook the meat with veggies (as with pot roast), which add earthiness and a different texture to the mix. The music: When I’m eating a slow-cooked, hearty meal, I like to listen to something equally full bodied. 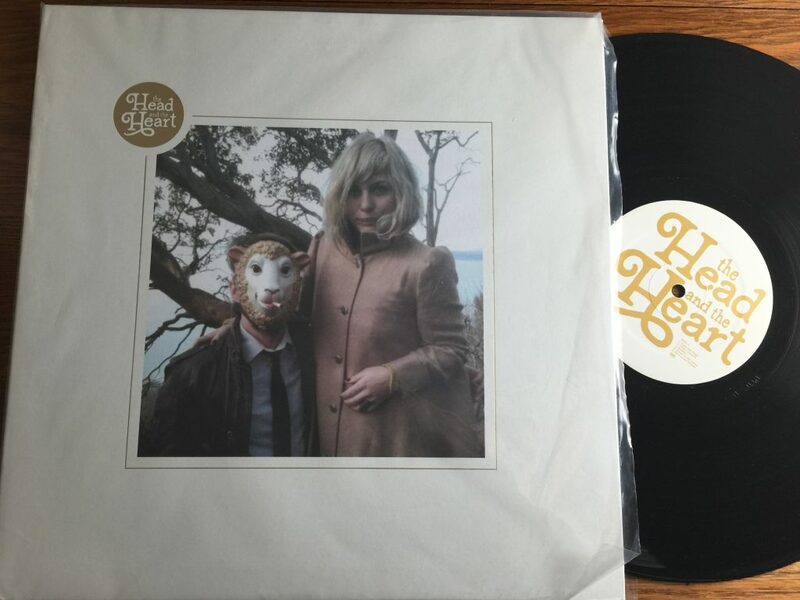 The Head and The Heart is a Seattle-based folk rock band that soared up the alternative charts in 2011 with the release of this self-titled debut album. The LP includes the hit single, “Lost in My Mind,” and nine other mellow, moody, beautiful songs. A cool side note about this album is that it was released by the famous Sub Pop Records label. Founded in 1986, Sub Pop is best known for launching the Seattle grunge rock scene by first signing the likes of Nirvana, Soundgarden, and Mudhoney. This fine pedigree continues today with some pretty cool acts, including Fleet Foxes, Mogwai, and The Postal Service. Don’t own “The Head and the Heart”? Listen on my “Beer Braised Short Ribs” playlist on Spotify. When choosing beef short ribs, pick pieces that are as big as possible (they shrink as they cook, of course). 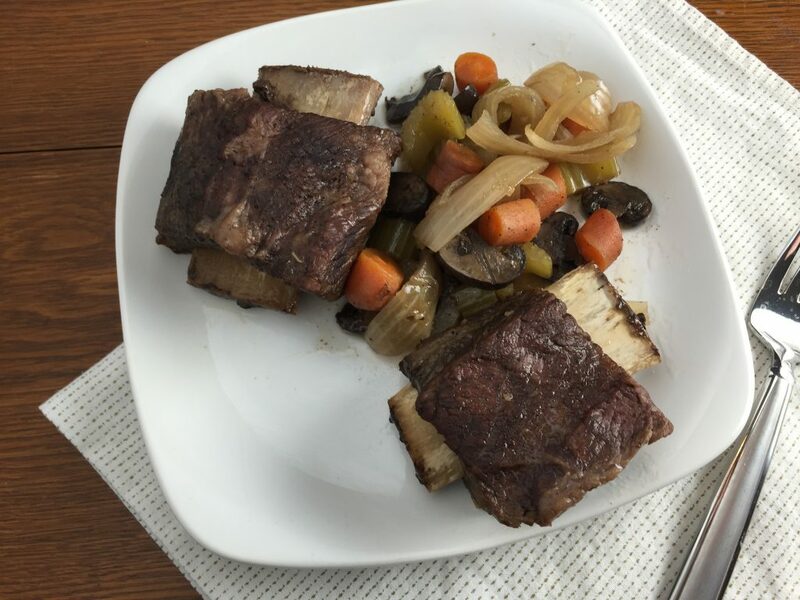 There tends to be as much fat as meat on short ribs—that’s what gives them all that juicy flavor—so be prepared to do some trimming when you eat. The good news is the meat will fall right off the bone after a few hours in the slow cooker. A word of warning: These may be beef bones, but they aren’t suitable for your dog after stewing all day (we learned that lesson after our pup ate half a bone before we realized it). Looking for other ways to use your slow cooker? Try my recipes for Pulled Pork or Chicken Chili. Line the bottom of slow cooker with the vegetables, garlic, and Worchestershire sauce. Lightly salt and pepper all sides of the short ribs. Heat oil in a large skillet. Sear all sides of the short ribs, about 30 seconds per side, to lock in juices. Place ribs on top of the vegetables. Pour beer around the inside perimeter of the slow cooker. Cook on low 4-6 hours, until meat falls off the bone. Place ribs on plate, scoop out vegetables with slotted spoon and serve on the side. It never ever occured to me to cook them with vegetables in a slow cooker. I think I will try that. Looks yummy. Hi, you had me at “beer”. I need to get a crockpot now, thanks for sharing on the Dream. Create. Inspire bloghop!! Haha, I hear ya Loreann. I need to come up with more recipes that incorporate beer 🙂 Thanks for reading and commenting. Thanks for reading and commenting, Raquel. I love seeing the vinyl comeback, of course 🙂 John Denver is one of my favorites ever. I have heard this is a good recipe! Thanks for sharing with the Thursday Blog Hop! This recipe sounds great. I have never made short ribs, so I’ve got to try it. I have a great chili recipe made with beer, so I’m betting on this recipe being super, as well! This sounds so good! I love slow cooker recipes, pinning. Thanks for sharing at What’d You Do This Weekend? I hope you will join us again this Monday!